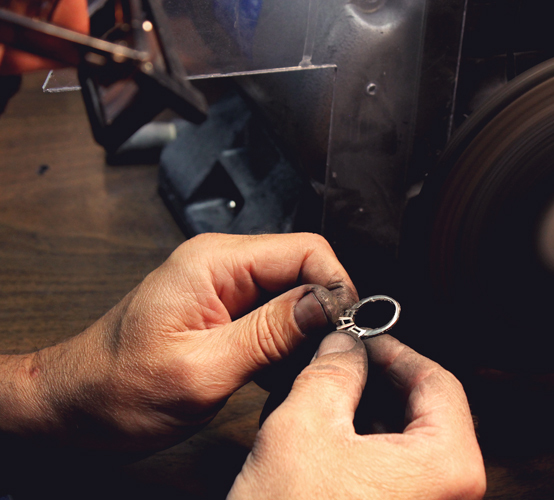 From concept to completion, each custom ring is made by the experts in our Milwaukee, Wisconsin, workshop. 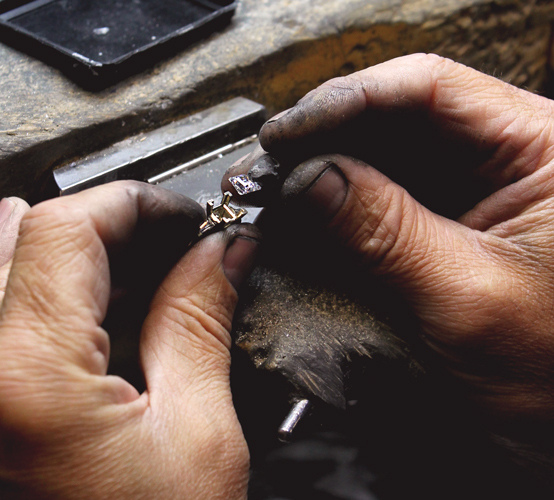 We take pride in quality and craftsmanship. It’s a big responsibility for us to take your dreams and bring them into the world. Every ring starts with a visualization. 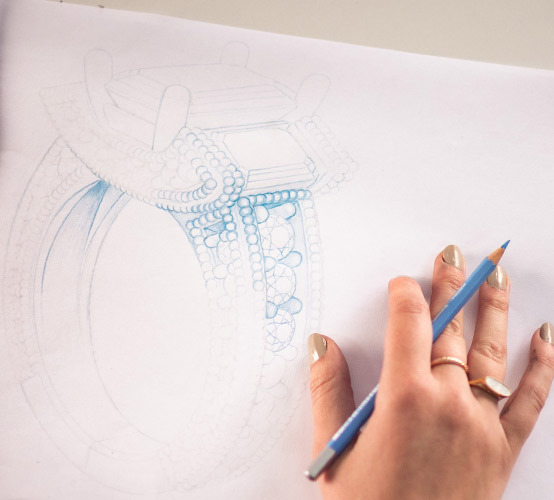 Share what you’re imagining by sending us a sketch or images that have inspired your design. 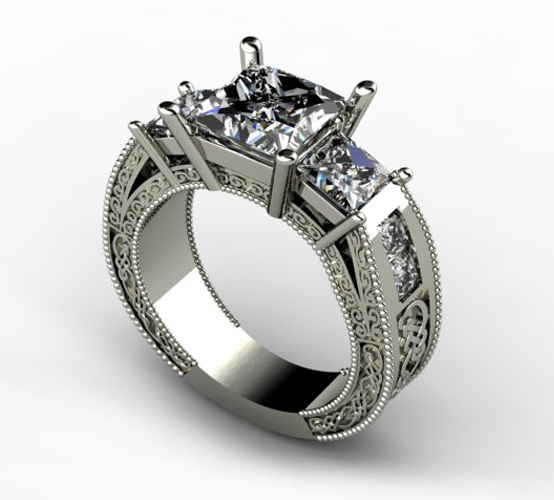 Our designers create a digital image of your ring, called a Computer Aided Design, or CAD. You get to see it, make tweaks and give it your stamp of approval. 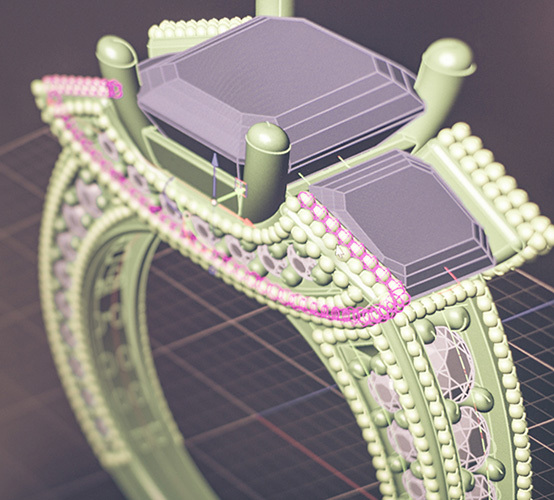 Your CAD is transformed into a lifelike digital model so you can see what it will truly look like once it has been made. You sign off one more time, giving the go-ahead for the ring to be produced. 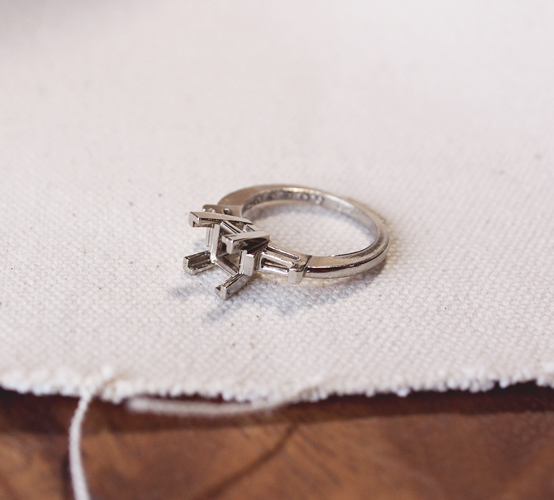 The bones of the ring are formed from molten metal (usually 14k gold) in a mold in the shape of your ring. 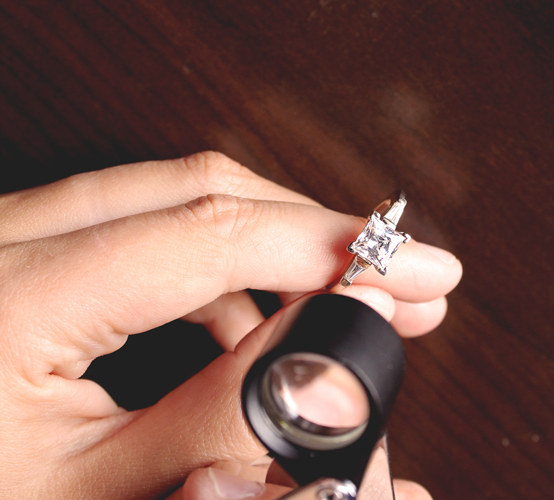 Crucially, the prongs are part of the ring’s structure—not added later. Jewelers grind the interior areas of the settings, smoothing out the metal that will support the Contemporary Nexus Diamonds™ or True Grown Diamonds™. Accent stones and side stones are set first. 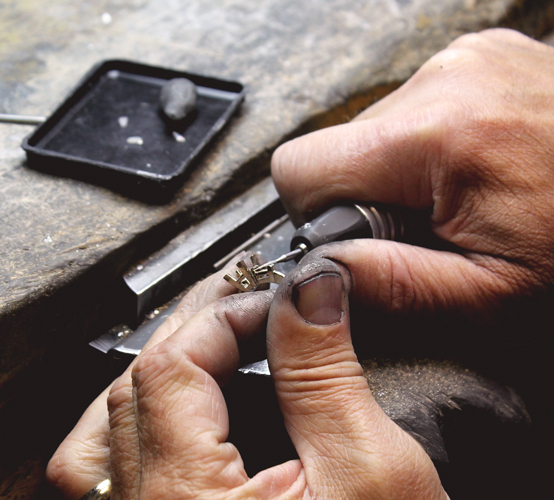 A jeweler carefully places the stones and taps the prongs securely into place. The center stone is set firmly in place. The prongs are tapped down to firmly hold the center stone for years to come. 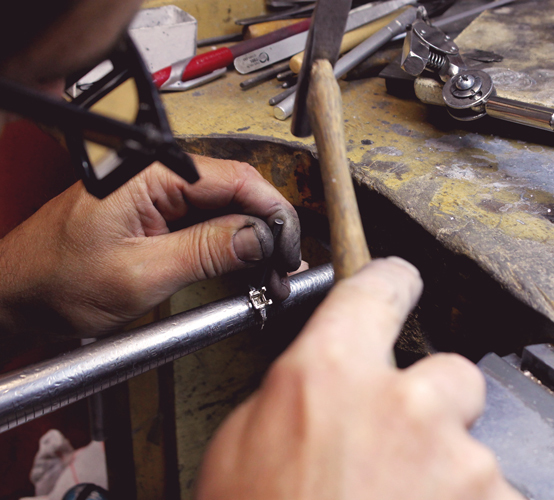 The polishers carefully buff and polish ring, smoothing out rough edges and bringing the metal to a high shine. 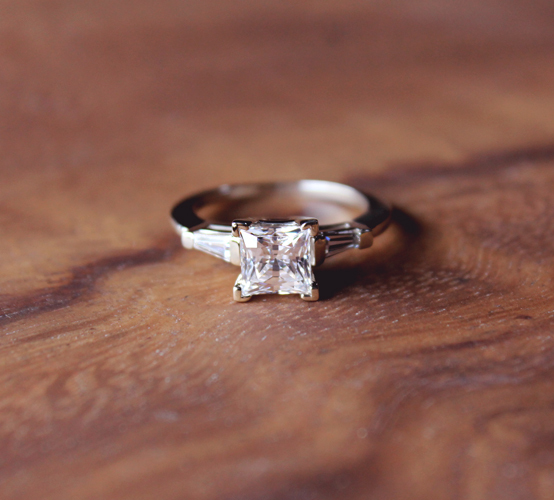 The band of the ring is ground and buffed to its smooth shine. Any remaining rough places from the raw casting are completely polished away. 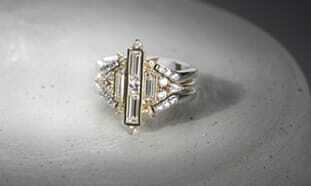 White gold rings are dipped in a coating called rhodium. This gives the signature bright silvery finish. 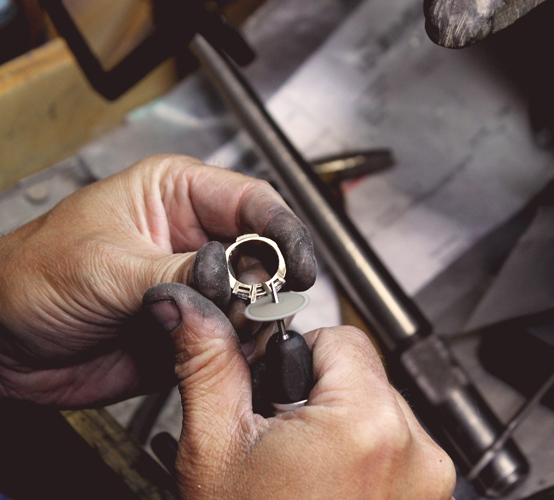 Every ring is handled by a quality control specialist who inspects the ring for flaws, so that every piece that leaves our facility meets our high standards. The ring is complete. All that is missing is a finger on which to place it. 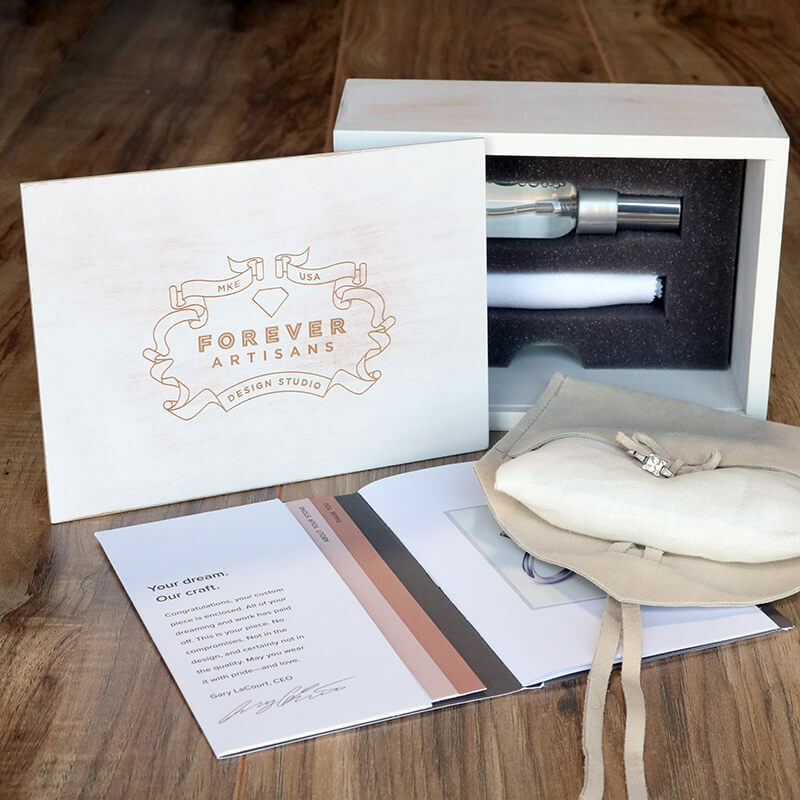 Each ring is packaged by hand and carefully prepared for shipment to its soon-to-be engaged couple. She said yes! 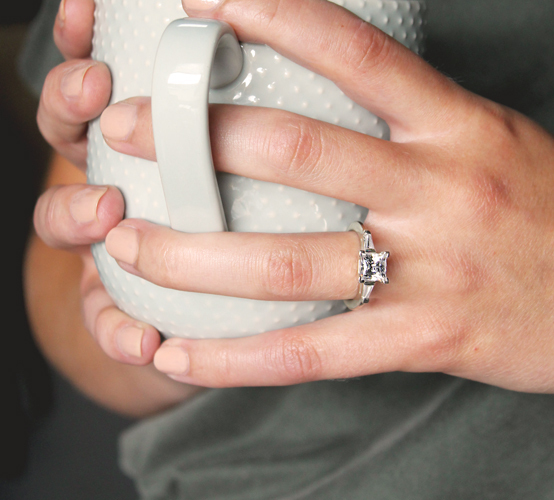 And like her promise, our rings are guaranteed to last.